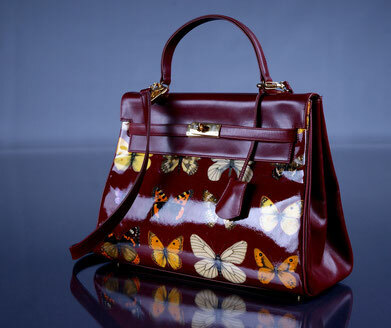 In 1994 Nielaba designed a luxury limited edition of women’s leather handbags. The handbags were to produced by a Swiss company, which boosted to be the very first licensed manufacturer of the famous Hermès Paris Kelly Bag. Nielaba implemented his invention of applying silk onto leather to design handbags modelled on the original Kelly Bag and ordered their production according to his specifications. The collection was popular in Switzerland, where it was sold. 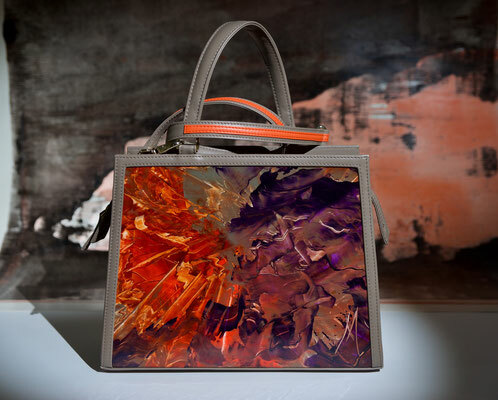 In 2018 Martin Nielaba returned to his art handbags project, entitled "The Elements". 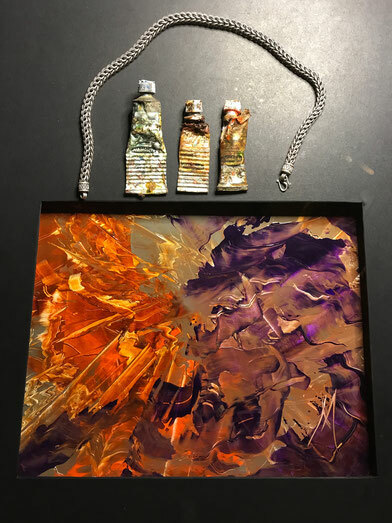 This is an exclusive collection consisting of serie of individual unique oil paintings created on leather and framed by a handbag, thus becoming a mobile exhibition of Nielaba’s artworks. The Elements collection is entirely coherent with the artist’s program of exhibiting originals of his oil paintings outdoors and allowing the public to experience them on many levels. Each handbag is unique, presents original of a different painting of Nielaba and can't be repeated. Witin this collection, Nielaba creates his paintings on leather using his own technique and the highest quality artistic oil paints. The glossy coating that covers the painting is made of a resin lacquer mixture, which is Nielaba’s own invention. As in the case of his other artworks, Nielaba covers the morphology of the painting with several layers of the above mentioned resin lacquer mixture. The form of the handbag was designed by the artist with his wife Magdalena Puchalska-Nielaba. Each element has been fine-tuned, including the unique single handle linking both sides of the bag. 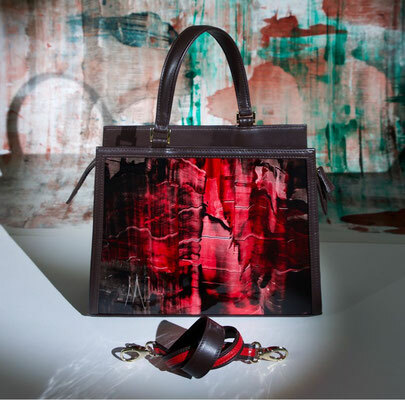 The handle is a symbol of a bridge connecting fine art with a utilitarian object, but at the same time does not limit the functionality of the handbag. Each handbag is individualy developed. Both the painting and the process of covering it with the coating is done entirely by hand and takes many weeks. The process of sewing the handbag itself is also manual work of craftsmen. The artists decided to manufacture the collection in Poland to ensure quality control at all times. The handbags are made of high quality natural nappa leather, both the outer and inner part. The colours of the leather are carefully and individually selected for each handbag, in order to be coherent with the colour range of the painting. 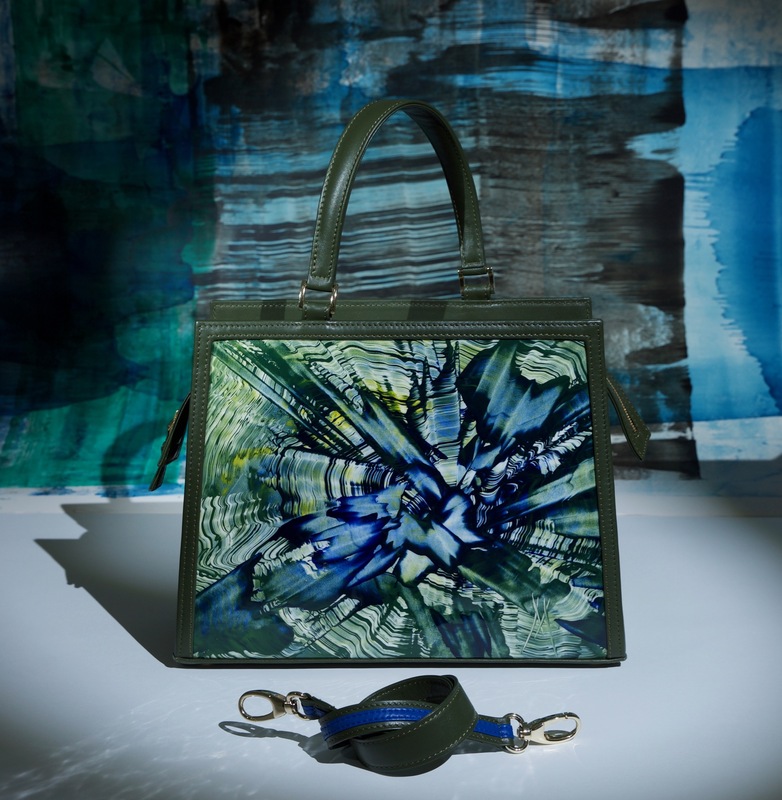 In relation to some of the paintings, it is possible to make a handbag according to an individual order, where the buyer can agree on such elements as the colour of the outer and inner skin, as well as the colour of the metal elements used in a handbag. AND NO OTHER PERSON WILL HAVE THE SAME!